Teeth Grinding in children !! Most people probably grind and clench their teeth during sleep from time to time. 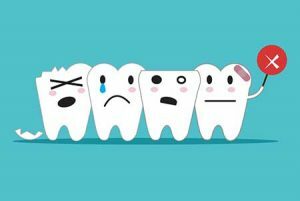 Teeth grinding or Bruxism, when occasional, does not usually cause harm but when teeth grinding occurs on a regular basis, the teeth can be damaged and other complications can arise. Bruxism in children, believe it or not, is rather common. The problem of teeth grinding is not limited to adults. Approximately 15%-33% of children grind their teeth. Children who grind their teeth tend to do so at 2 peak times- when their baby teeth emerges and when their permanent teeth come in, mostly during the nights. If your kid has sore jaw muscles or a headache when they wake up is a telltale symptom of bruxism. Bruxism or teeth grinding may be a serious dental concern if this clenching and gnashing erodes your tooth enamel. Most children stop the teeth grinding habit after these two sets of teeth have completely come out. Ignored for a long duration, it can lead to erosion of the teeth and if untreated it can cause permanent damage to the tooth and can endanger the pulp. Bad bite/jaw malalignment where upper and lower teeth are not aligned properly. More frequently in life stresses…..if the child is going through an exam period or relocating to new school. 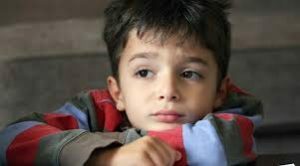 First born syndrome – often the first child will feel that they are no longer as special/wanted and will become rebellious/sullen at their ‘dethroning’ when the second sibling enters the scene. Digestive parasites… Children tend to put their unwashed hands and other things in their mouth which can cause parasitic infections. These parasitic infection serve as a initiator for bruxism. Grinding noises can be heard when the child is sleeping. Complains of sore jaw and face after waking up. Tired, irritable and poor concentration. 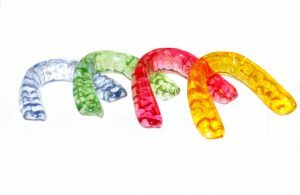 Ways to stop your kid from grinding teeth…. One option is bruxism exercise where you focus on the position of your tongue and teeth… consciously place your tongue against the back of your top teeth, which makes it impossible for you to grind your teeth. Anytime you feel your face/jaw tensing up, ease into a more relaxed position. Decrease your child’s stress, especially just before bed. Try massage and stretching exercise to relax muscles. Make sure your child’s diet includes plenty of water. Dehydration can be linked to teeth grinding. Mouth guards stop tooth surfaces from grinding against each other and are almost universally successful in preventing grinding damage.